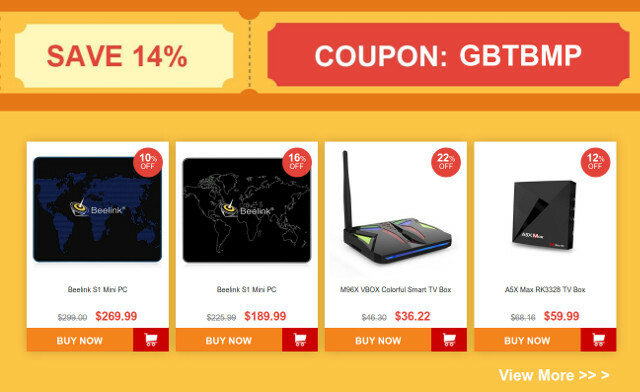 Black Friday is over, but companies still offer discounts for Cyber Monday, and GearBest has some specific deals for TV boxes and mini PCs. 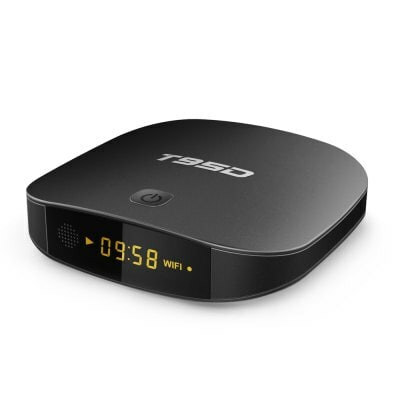 If you are after the cheapest TV box model around, Sunvell T95D based on Rockchip RK3229 with 1GB RAM and 8GB RAM is sold for $18.99 with coupon Bfriday303. All coupons listed above are valid until November 30. Sorry but it seems the Sunvell T95D is powered by a Rockchip 3329. You’re right. Beside seeing so many S905W boxes during my reserach, I must have gotten confused by the name “T95D”. I was visiting PCB assembly houses couple of weeks back for my new customers project in Shenzhen, I saw lot of TV box PCBs getting rejected during the Post assembly test, When I asked the production manager she said these are PCBAs manufactured using recycled components, But the chipsets looks like latest one, How can they be recycled !! !, The DDR and Nand flash are recycled.. I was always surprised to see super low cost Android media players, my estimations was higher in-spite of low margins I was wondering why, I did a little bit of study in Shenzhen to see how they get these DDRs and Flashes, there are many small vendors they buy defective / used / end of life electronic products from all over the world, all of them comes to Shenzhen for recycling.. Every vendor specializes on each part – CPU / DDR / Flash / Camera / LCD etc.. they remove from PCBs, Reball it, cleanly pack them and send them back to shops, You cannot distinguish between a recycled and new part, The people who do this work are super skilled, I have a great respect for their workmanship. Please note : not all low cost products use recycled parts..but some are..
Gearbest cheat to much with their fake coupons. Gearbest are scammers, the other day they offered a phone at a discount using a coupon, the offer had only been up 12 minutes and the coupon was already invalid.